I think I’m tired of indie-pop. When it hit the mainstream, it was a breath of fresh air, effectively erasing the angst-laden drudgery of post-grunge and replacing it with the exact opposite – a genre featuring optimistic viewpoints, a sunny, relaxed vibe and the glorious return of the catchy guitar hook. It was sorely needed at the time, and it’s certainly still better than the wave of bands before its emergence, but right now, I can’t really find the energy in me to enjoy any but the most truly magnificent bands of the genre. 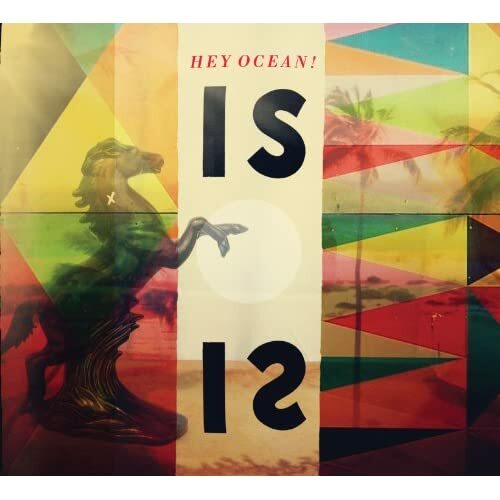 Which brings us to Vancouver-based Hey Ocean!’s newest record Is, a – you guessed it – indie-pop album. And y’know what? They’re actually a pretty neat and diverse band; opener “If I Were A Ship” is beautifully delicate, using the minimalist plucking of the African kalimba to great effect, “Islands” is a haunting and highly emotional love song and “Bicycle” is an upbeat bossa nova that sticks out like an oddly endearing stubbed toe. There’s a really interesting African influence throughout, as well as the most shockingly tasteful usage of the easily-detestable flute this side of Jethro Tull. And that’s all well and good, but at the end of the day, I can’t really be all that enthusiastic about it. This is another one of those albums where all the various elements of it just about line up, but aside from a couple moments, it doesn’t really make any connection with me – this is largely because, well, I’m just bored of the indie-pop sound. I’m tired of it. I’m tired of heartbreaking platitudes set to music so fragile you could break it with a rolled-up sock. I’m tired of bands that can be defined as “cute” and very little else. I’m tired of jangly guitars, reverb-heavy production and bands that import so many influences that they don’t have any identity of their own. And there really isn’t anything wrong with this: when a form of music has been in the spotlight for a few years, it’s totally natural for a bit of fatigue set in, and I realize that it’s unfair to spill all of this on a band that, for all intents and purposes, is at the very least above-average. So after all of this ranting, what can I say about Is? It’s a solid record in a genre that is starting to become rather stale, so if you’re still into the sound, go ahead and grab it; Hey Ocean! have got some pretty neat quirks and I bet they’re cool to see live. As for me? I’ve listened to it numerous times in the past week, enjoyed it at a distance, and once I finish writing this sentence, will probably never listen to it ever again.